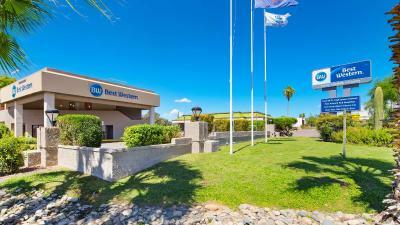 Lock in a great price for Best Western InnSuites Tucson Foothills Hotel & Suites – rated 8 by recent guests! The breakfast was good and super convenient. The menu options for dinner are limited but everything was good and a very nice convenience after being out and about each day. The housekeepers and grounds staff all seemed very happy and were friendly without being intrusive. Everything.. we had a poolside room. Enjoyed a hour chatting under the stars.. Happy hour and breakfast very nice. Staff at bar were always hard at work waiting on people and making sure the food was filled at all times. Bed was very comfortable. The accommodations were fine, I just was disappointed in the Location. I was not very familiar with the area and was afraid it wasn't a good neighborhood. The Property next door was shady looking? I know that isn't your responsibility, but if women are traveling alone or with other ladies it doesn't seem as secure. I had no problems however. Free car park, big rooms, coffee machine, one free bottle drinking water. Free wifi. Ironing in the room. Across the road is shopping malls and restaurants. Nice breakfast. Super friendly staff! Awesome happy hour and the breakfast was wonderful! Free wine or beer and snacks in the evening. Good breakfasts. Breakfast fine, as would expect. The staff at breakfast very nice, cleaning up quickly. Rooms clean, but getting tired. The housekeeping staff seemed very nice. 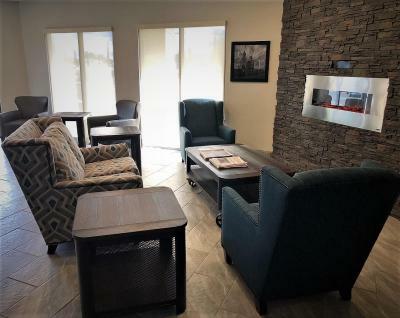 Best Western InnSuites Tucson Foothills Hotel & Suites This rating is a reflection of how the property compares to the industry standard when it comes to price, facilities and services available. It's based on a self-evaluation by the property. Use this rating to help choose your stay! 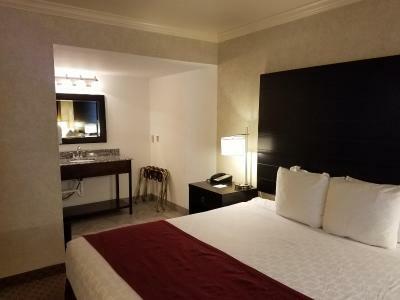 One of our top picks in Tucson.This hotel, located 18 miles from the Tucson International Airport,and free WiFi. 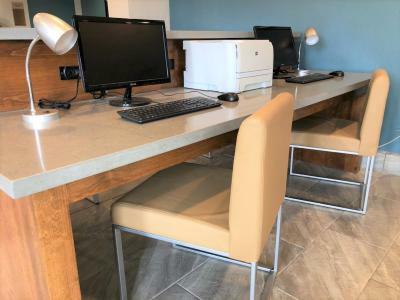 Best Western InnSuites Tucson Foothills Hotel & Suites features is a business center and an outdoor heated pool/spa area. Each guest room includes a TV with expanded cable, microwave and refrigerator. 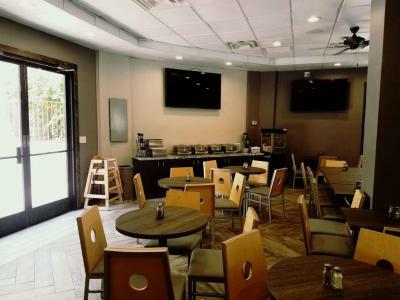 PJ's Cafe/Lounge is located on-site at Best Western Foothills. This pet-friendly hotel offers a fitness center and guest laundry services. 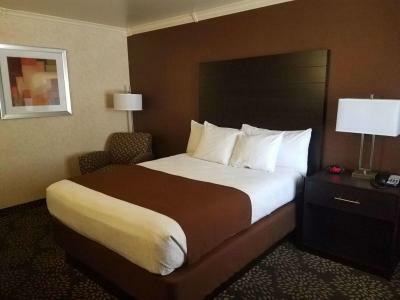 When would you like to stay at Best Western InnSuites Tucson Foothills Hotel & Suites? House Rules Best Western InnSuites Tucson Foothills Hotel & Suites takes special requests – add in the next step! Best Western InnSuites Tucson Foothills Hotel &amp; Suites accepts these cards and reserves the right to temporarily hold an amount prior to arrival. Best Western InnSuites Tucson Foothills Hotel & Suites accepts these cards and reserves the right to temporarily hold an amount prior to arrival. The infrastructure could need a makeover. Especially on the outside everything looks a little worn out and dirty. The rooms though are okay. Breakfast is OK (US hotel standard, disposable dishes), rooms are clean, facility is trafficconveniently located and quiet. The Fitness Center was a disappointment. (1) It opens at 8 am which is way too late to get a workout in. It should be open by 5 or 6am at latest. (2) Nearly all of the free weights were missing. (3) The chemical smell in the room is overwhelming and made me nauseous. It almost has a latex/rubber smell which many people are allergic to. Just a side note. The gate to the pool has a bar that needs to be fixed..any small child could get thru it... it did effect us as we did not have any children..
No hot shower on first night, rocking toilet seat, but technician fixed quickly the next day after complaints. Tiny bathroom in a massive bedroom with lounge. No washing basin in the bathroom, it is actually in the bedroom! Very confused design. I couldnt get the water to commence to shower.